Great looking Park Model unit. Across the street from the community pool. Inside washer with both washer and dryer hook ups. All appliances remain as well as furniture! House is very clean with Brand New Living Room Windows, which cost over $2000. 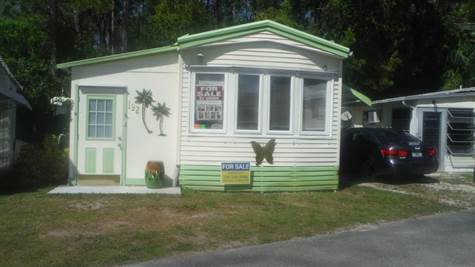 Located in the all age community of Sunseekers. For more information or to take a tour of this home contact Tim Day at 239-233-4496.